This one is easy, like the others really (except the fortune cookies, they were a little tricky). You need very few items, but you probably don't have polystyrene/styrofoam balls rolling around your house. Fortunately, I did, but only because I never got around to making some Christmas decorations. Enjoy! 1. Like I said, this one is quite easy. Cut some of your tissue paper and fold it numerous times to a square about an inch big. The more you fold it the less cutting you have to do. Once you've got your folded square, cut out a flower. I only did four petals, it would probably look better with five, but you might want to use less tissue per cut in that case. 2. Now you've got lots of flowers. They might not look very good, but once it's all together, you might not notice. Take your ball and dab a little glue onto it. Place your first flower on it and fold up the petals. This will free up some more space and make it easier when you apply more flowers. 3. Stick some more flowers down, leaving a nice bit of space between them. Make sure to fold the petals up. 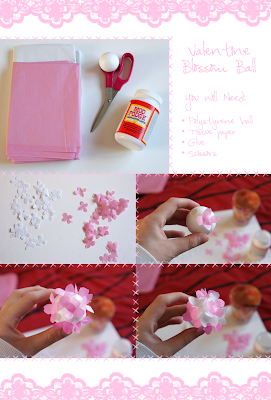 I used pink and white flowers, but I applied the pink wones first. This enabled me to have nice even coverage of colour. 4. 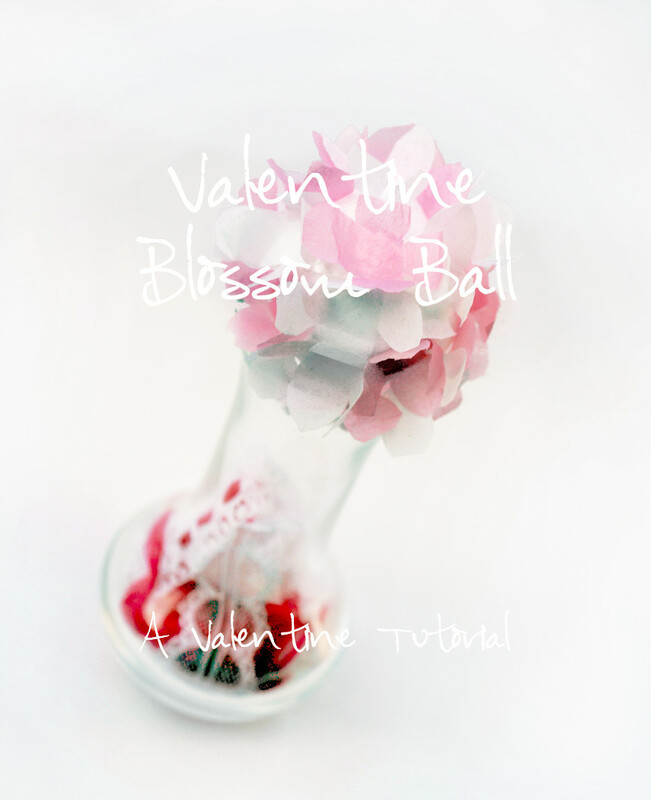 Once you've gone around the ball with one colour, go around and stick the other colour flowers in the spaces - unless you're only using one colour, in which case, just fill in the gaps with the others. 5. Once you've done that, fill in any other gaps. Set to dry, and you're done! See you in two days for the next one!